To put it rather indelicately, it has become imperative that collectively as a people, we need to pull our fingers out and bring the head off the navel and out of the sand, and see where our rear is located. Then we might be able to prevent being taken for idiots wily-nilly, by the political elites. Obviously we are quick to look for alibis in the overbeaten refrain, that ours is a developing democracy and an evolving nation from the ravages of war. Sure it is, but that is also because its where we want it to be; and while the rest of the world is moving up a gear, we are happy to give excuses for impunity and stunted egalitarianism. Which is why it is sad that there are so many things going on today that demand answers and which nobody among those best placed to provide them, seems ready to respond to, in the hope that we are all so stupid as not to notice. One such puzzle which I’m still at a loss understanding is the zealousness of Maada Bio’s sudden Ebola (political) Virus campaign. 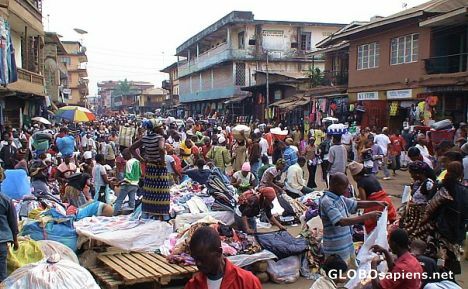 Worse still, with each passing day and event, President Koroma gives the strong impression that he is turning a blind eye to the development, in exchange for the recent, new, Koroma-chorus by Bio. I’m afraid that those, whom history has assigned the duty of leadership at this point in time, don’t seem conscious of, much less, realise the responsibility thrust on them by their position. Whether it is a tacit agreement between Bio and Koroma, the recognition accorded Bio is a replica of the mistakes that introduced incurable polio into the political system and left us crawling and getting nowhere. Is it because all other potential aspirants have not kowtowed to hailing the president, that Bio has unfettered licence to roam? Anyway, with in-fighting creating toxic disunity within his party, who can blame Maada Bio if he is ready to squeeze water out of a stone, in his determined bid to return to state house and retrieve whatever he must have forgotten when he packed out? With some new kids on the block threatening to also give him a run for his money, it appears he does not mind taking a long “moral holiday” to airbrush his image. It has so heightened his self-absorption that he does not wholeheartedly want to rely on the party that sold him for thirty pieces of silver, the last time out. The road ahead for him won’t be easy. He knows it and as such, opportunities like this give him the platform to manoeuvre to the front of the grid, while others are still looking for their car keys. Unfortunately, some are insinuating that he is fast becoming a secret weapon in the hands of Ernest Koroma, especially in the proxy war within the APC, and if the third term or more time agenda collapses. Maada is caught up in what he perceives as a revolutionary fervour to change Sierra Leone; but his ill-defined reformed character which entails sucking up to President Koroma and doing everything to woo the opposition media, is slowly stripping away his last great assets which to those outside his circle and who believe in him, are now seeing the path he is treading, as one to hoodwink the nation. It is supreme arrogance on his part to think that his ‘popularity’ gives him the audacity to throw his weight around. 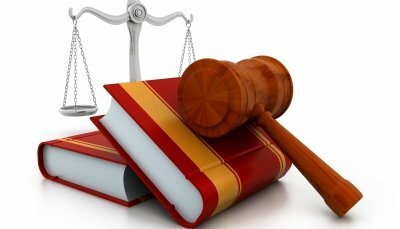 Ethical leadership demands that leaders adhere to a strong code and to recognize that they are accountable for their actions, and that no one is above the law as well as avoid all conflicts of interest. This development has negatively affected the nation’s leadership recruitment processes, blurred national vision and may even heat up the collective appreciation of what should be a proper guide for the citizenry, who currently only struggle to be peripheral collaborators, in the veiled game that short-changes them. Maada might believe that his human touch is allowed to caress the rough edges of the dying Ebola situation, so that apologies may be offered and accepted, but his action is slightly contentious and contributes virtually little to the progress of the demise of the disease. Some of those who have the time and the discipline to watch the proceeding, might very likely see democracy and patriotism at work, but to others, they cannot remain unruffled as the situation is not only debatable, it smirks of subtle provocation. 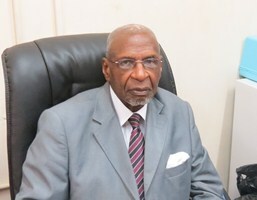 Where is Justice Tolla Thompson – chairman of the political parties registration commission (Photo), when you want him? Maada’s desire for statesmanship contribution to national development is appreciated; but it is no reason why he should bear the burden of his political ambition with the mentality of emperors and kings. From having serious issues with the government and the direction of our governance, Maada seems to have seen a new light. And being born again, he now struts – well regaled, in a costume that bespoke procured triumphalism. When the time comes and other aspirants call his bluff, would we see a new leader in him that will accept graciously? Will he see it as a national service that is desirous of the same commitment he seems to be putting to the last minute Ebola dance? Maada and his advisers might think it is a political master stroke and a top drawer strategy, but sadly, it is a move that has started to put the sails of his enemies up in the air and ammunition for those who are currently silent. Simply put, it is a blunder. I don’t begrudge him having a field day, especially in the colluding and revealing glare of the government of President Koroma, to whom he made solidarity appearance prior to his fanfare, which tantalized some neutrals. You know what? I now accept that we are indeed a people fixated at oral stage of development. Which is why, we often watch with helpless passivity, the gradual collapse and destruction of sanity and morality, which was once the building block of our nation, and which of course is the building block of any successful nation on earth. But the truth is that the change we desire and which Maada himself affirms commitment, cannot be achieved under a myopic platform always, unless we do not mind going the way of the dinosaurs. 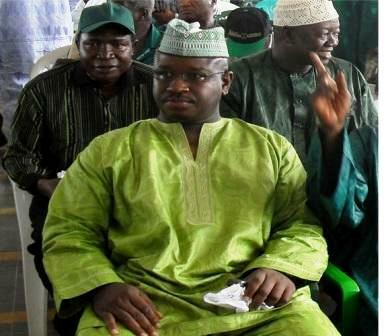 This is not about Maada; it is in the overall context of the new Sierra Leone we are desirous of having. It is about the national interest and issues that throw a different colouration on the process of achieving an equitable country. We cannot be blaming the government for its destruction of a just democratic society, and then simply ignore side attractions that are likely to contribute to the continued entrenchment of those failures that we have identified. 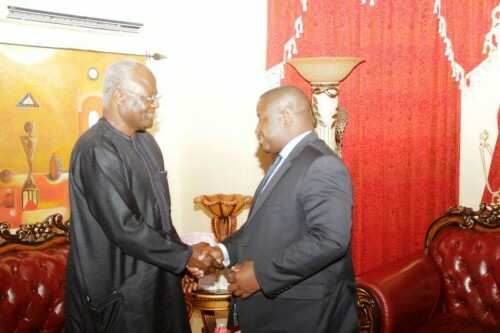 There is no doubt that the present ‘alliance’ between Koroma and Bio is one that, at least serves its political purpose for Bio, in any run – short, medium or long. My advice to him however, is that elections take months and cover thousands of miles. Even when you can walk it, it is better to stalk it.